Spotlight: Stamatis Moraitis Heals Himself From Terminal Lung Cancer - Better Believe It! The story of Stamatis Moraitis is inspiring because, after being diagnosed with terminal lung cancer when he was in his mid-60’s, he cured himself without chemotherapy, radiation, or surgery. Instead, he moved to his hometown, changed his lifestyle, and lived to be 102 years old. You can read a New York Times article about Stamatis here. 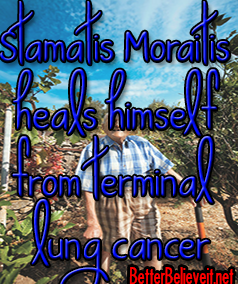 In a nutshell, Stamatis was diagnosed with lung cancer and given 9 months to live. 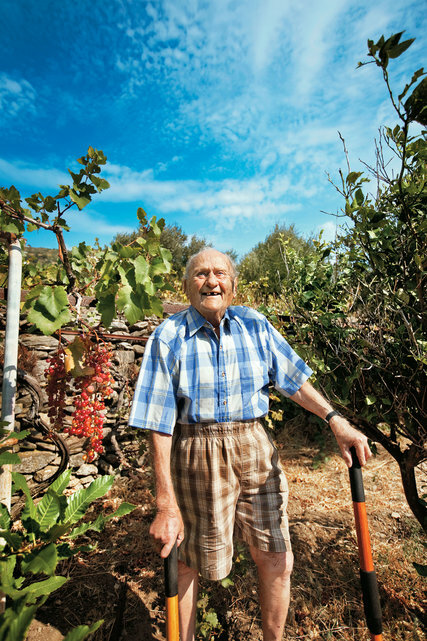 Instead of staying in the U.S. and undergoing conventional treatment, he chose to move to his hometown in Ikaria, Greece where he could be buried with his ancestors in a cemetery shaded by oak trees that overlooked the Aegean Sea. After he got there, he moved in with his elderly parents, and he initially spent his days in bed, being cared for by his wife and mother. 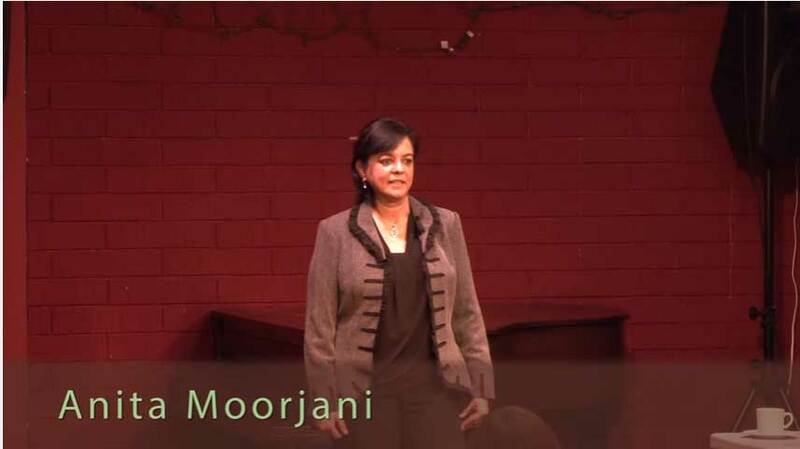 He reconnected with his religious faith there and attended a nearby church. His friends started coming over to visit, and they’d sit and talk for hours. A few months later, he started feeling stronger so he decided to plant a vegetable garden. He didn’t think he would live long enough to harvest the vegetables, but he did it anyway because he enjoyed working in the sunshine and breathing in the ocean air. Months went by, and he didn’t die. Instead, he created a life of doing what made him happy. He’d sleep in and work in the family vineyards when he felt like it. In the evenings, he would walk to the local tavern and play dominoes until after midnight. Years went by, and he became cancer-free. He lived for another 40+ years. Maybe the change in diet played a role (lots of home-grown vegetables). Maybe it was just switching to a lifestyle where he enjoyed himself every day and did what he wanted – a change of mindset. It doesn’t appear to be his belief, because he says he expected to die. A Western scientist would probably conclude that it was just an “unexplained random occurrence”. Personally, I don’t believe that explanation. Something changed in his life which led to his immune system destroying all the cancerous cells. Maybe we can all learn something from Mr. Moraitis.